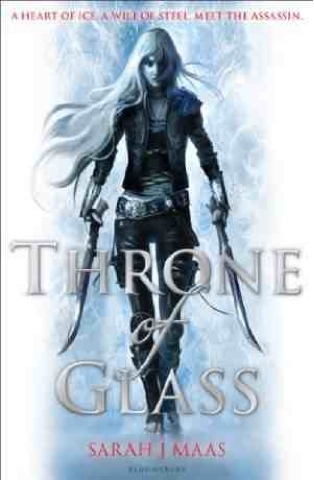 Review: When people told me this book was like a re telling of Cinderella/the hunger game I was a bit apprehensive. I have nothing against The Stories I love them but I've heard that saying so many times that I was sick of it. But reading the summary and looking at the UK cover I thought this book could totally changed my mind. And boy did it. 15 pages in I could of wrote 5 paragraphs of how amazing this story was. It kept me glued and was straight into the deep end which I love. Modern words used in an old fashion setting. Great twist you kinda wished you could get away with wearing gowns like that down the street. In this book you can and it's tremendous. I love the competition of the book. I love the "tests", "battles" and "training" it's so intense and had me on the edge of my seat. Also I'm not a huge fan of magic in books but this book changed my mind. The romance element, the castle, the chambers and the puppy!! All elements that made this book beautiful. The mysterious twists and the bravery of the lead character Celaena was spectacular. There is a hint of a love triangle and before you go "oh not another one" I would stop because this love triangle is very intriguing and very exciting which I found refreshing. You'll see. I totally love the cover to the UK version compared to the United States and according to your review I need to check this book out!